I live my life according to the academic year. This means the Fall term, Winter term, then the Summer term are my work cycles. A new term is right around the corner and I am thinking about what I want this term. I am going to refer to a previous post about my want to not glorify busy. Academics love lists. This includes explaining in an exasperated way that we are very busy, and then listing the number of items that we must get to before we go into the sun and sparkle like a Cullen vamp or worse yet, explode like a vamp in True Blood. I am trying to have better work life balance and hope that I can continue this in the next term. What am I doing? I am taking special care to not check my phone the first thing in the morning, and this is a major coup. I will start with my stretches, coffee, and paper, and then get to the phone (this translates into checking my email accounts and Twitter feed). I do not know about you, but I can go down the social media rabbit hole and suddenly be late for the gym or to take my spawnlette to school. This past Spring, I was better at leaving emails and Twitter for last, and no one complained about email response times, and I bet my Twitter followers gave a sigh of relief to see fewer tweets. By not glorifying busy, I might post/share that I got something done, but I am done with listing and trying to prove that I am busy. I know that I am and I know that you are also busy. I also am not engaging those conversations where it feels like a colleague online or in real life is glorifying busy. For Petra’s sake, those of us on the tenure track have: great job flexibility, a job, and yes, we have to teach and publish in order to keep our jobs. But, overall, we get paid to think and talk. I am not competing in the Busy Olympics and if you feel that you have to, you might want to re-think that. How do I model this, though? I have to tell myself to not respond so quickly to emails and not email colleagues during the weekend. I am trying to have better boundaries. I explain to my Teaching Assistants that emails over the weekend are meant to be thought of as a Monday morning email. I also schedule emails so that they are sent Monday-Friday during the workday. These smart devices keep us connected, but also do not allow us to have time off without feeling guilty. The new term is starting and I am not going to feel guilty that my to-do list is long, as I chip away at it. But, my job’s priority is teaching and I promise to not phone that in, as students do not appreciate that. When they come to class, ready to discuss the readings, they want me there ready to teach and facilitate. I am ready. 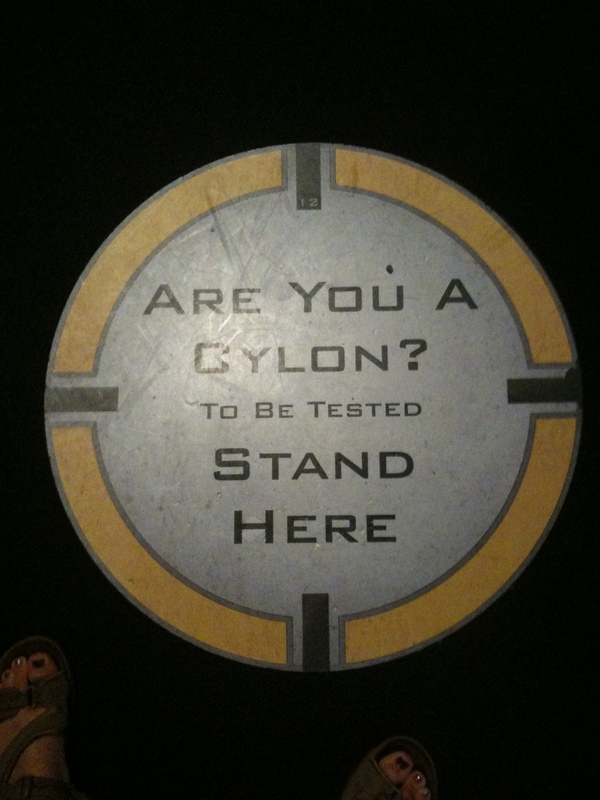 Oh, and I am not a Cylon. I am human and have to remember this…I am not a machine. Well, my daughter says, “How do you know? You could be a sleeper agent.” I am going to assume that I am not a Cylon. I took the above photo at the EMP in Seattle, Washington. It was part of a Battlestar Galactica exhibit. So say we all! I have had a hard time saying no. This is the nature of one dozen years as adjunct or sessional faculty–what many refer to as the New Faculty Majority. Now, I’m about to start my fourth year as tenure line faculty and this will mark the fourth year out of fifteen when I shut my door. My door is only open during office hours. I make no apologies for this. I am open and available for consultations during my office hours or appointments. Truthfully, a senior colleague insisted that I shut my door to get my work done. To this day, I thank him for his honesty. Likewise, I’ve become better at allowing myself to take a vacation. This means not responding to student emails and more importantly not feeling guilty about it. Of course, I never got the sheer volume of emails previously. This changed when I got my tenure line job and was also made an Undergraduate Advisor. Students need advising year round. The department where I work has assigned other faculty during my vacation, but that doesn’t stop the emails from trickling in. Perhaps it helps the deluge! This May I started an email to myself where I remind myself of my professional declines. I cannot do everything and anything. I note my achievements via my CV, but what about those moments when I protect my time and sanity and say, “no.” Well, I have an email to self that shares my no accomplishments. I started this in May and I’m only at 18, but each one of these declines allowed me to spend more time on teaching, advising, myself, and work/life balance. So, I suggest that we remember to celebrate boundary keeping and those moments when we must politely decline.Don’t get me wrong–I say yes to lots of meetings and opportunities. I do believe the department head would concur that I am a good citizen in the department and for the faculty at large. But, the department head has also encouraged me to say no more. I’ve had colleagues who have a printout that read: Just say NO within their field of vision as a reminder when they are on the phone. Oh, that reminds me to add another point. I’m at 19! 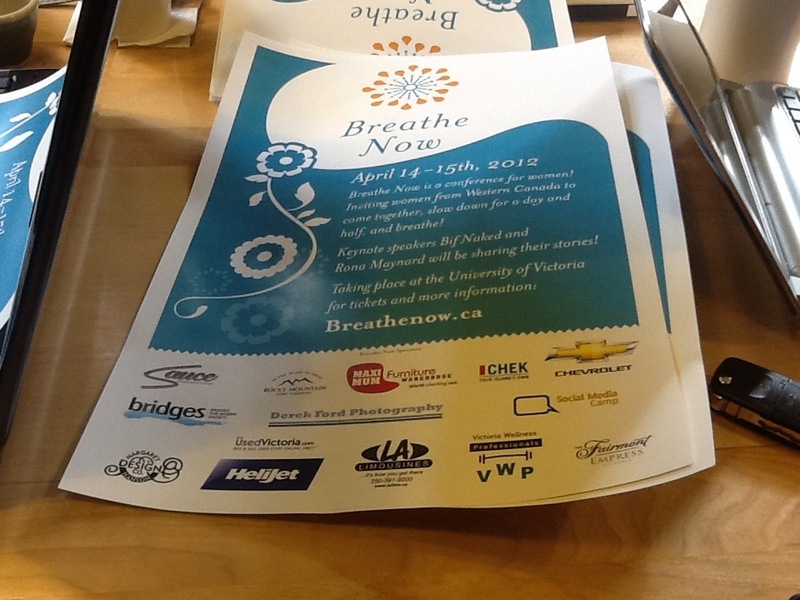 And, I am also reminded me of themes at Breathe Now, a conference that I co-coordinated with Janice Mansfield, Angela Rafuse-Tahir, and Yukari Peerless. Many of our speakers noted that it’s important to take time for yourself–breathe. Say no, when you need to! I haven’t taken a Netiquette 101 course recently, so I think it’s time to give some tips about sending emails to your instructors. 1. Always assume that you should be more formal. 2. Address the person in the email with a hello or even a “dear.” Avoid, “hey. And, use your full name, as your instructor might have many students who share your first name. Dear Instructor: I am emailing to find out information about your Fall class. Do you suggest any prerequisites for the class? I’d also like to talk with you about a paper topic that I have. Do you have any time to meet this Summer? Hey, I’m going to enroll in you class. Should I be worried about your feminist bias? 3. Never send an email that is incoherent. This is email and not a text to your best-friend. Type out all words, use punctuation, and proper spelling. 4. Never send an email when you are mad. This goes for all emails. Send yourself the email and then wait a few hours or overnight, and then send the email that you won’t later regret. 5. Be honest. Understand that your instructor might say that this conversation needs to take place face to face. Some conversations really need that human interaction. 6. Do not be offended if the instructor corrects your use of their first name or some policy. Most of us will be kind and say–we have a 24 hour policy with emails after work is handed back and it’s in the syllabus or I expect students to call me Prof. Schmitdkins. 7. Read the syllabus before sending the email. Perhaps the syll answers your question or notes that you should take the time to write a coherent email noting who you are and why you are emailing. I am still learning how to say no at work and in my personal life. I am an energetic person and I like to do things and have a sense of giving back—be involved in the communities that I belong to. This includes on campus, off campus, both kids, and other communities that I engage with in my daily life. The only problem—there are only 24 hours in the day and I am not cloned, yet! I am venturing into year three of working with my door completely shut at work. It took me a good six months or so to feel completely comfortable with that. I really thought that my previous open door policy was sound and important. Then, I came to realize that I had to get work done and that as an Undergrad Advisor I had students at my door all the time. The best advice was from a colleague who suggested that I shut my door. Now, I no longer have any issues with the door shut and establishing boundaries when I am available and not for office houring. The virtual advising, though, is something that I’ve had to come to grips with, as students will email at all hours of the day and advising questions are important and in some instances time intensive. This Summer, like most, I was in California for a month and was not available for advising. I had the usual auto-email explaining my absence. I made a special point of acknowledging emails and directing most students to the department for the advisor of the week. And, this year I didn’t feel guilty about it. This is an ongoing process for me, though. I find that I’m getting better at saying no and directing the student or other request to a more mutually convenient time. I have to say that most reactions are fine. No one is put out that I cannot make a coffee date for two weeks or that they have to wait a week for my office hours. As a fan of sci-fi and fantasy I will admit that the cloning in #BSG intrigues me. I would have a clone to do certain work, but I would save the real me for enjoying life! This is another guest post via Breathe Now by the especially talented Janice Mansfield. This post resonates with all the busy women. It is OK and necessary to say no and set boundaries. It can be hard to do so, but it is something that we all need to get better at doing! This post was originally published on July 3rd at http://breathenow.ca/2011/07/on-saying-no-and-setting-limits/. You know the axiom–if you want something done– ask a busy woman! Well, busy women (and men for that matter) need to not feel guilty at occasionally saying, no! Sometimes you just need a big karmic bitchslap before you’ll sit up and pay attention. That’s kind of what this week has been like! I’ve been feeling stretched thin the last little while, and had agreed to stretch myself a little thinner than normal by taking on a favour which I was hesitant about, but didn’t want to say “no”. My husband did give me a little warning “… are you SURE you should be taking this on?” — should’ve probably listened to him, but the universe obliged with a little firmer follow-up later in the week. The irony was that myself and one of the other Breathe Now co-founders found ourselves talking with Rona Maynard, one of our keynote speakers about the direction for her keynote address, and I found myself having to physically take a moment to calm down — mind and mouth racing in two directions at the same time with all the madness of the week going on. The good news is, the moments spent with Rona on the phone did provide a little oasis of calm. The bad news is we finished the call, and I launched right back in the crazy-making of the week — a week made busier than need-be due to my not saying “no”. This week culminated in a high followed by a complete low point! The high point being my friend Aaron Hall, asking me to film an episode of his new food show Delicious, at my house! An honour, and quite interesting to see all that goes on behind the scenes! The low point being the favour I had agreed to do, completely falling through into a complete sh*# show (sorry, no nice way of putting it!). As I said, sometimes the universe just decides you need a giant kick in the rear before you’ll get it! I should probably heed my intuition when I’m feeling like I’m overextending myself, or a “favour” does not line up with my business goals. I should probably also pay more attention to my husband when he gently reminds me of (1). Thankfully, he has just shaken his head, and not given me the “I told you so”!